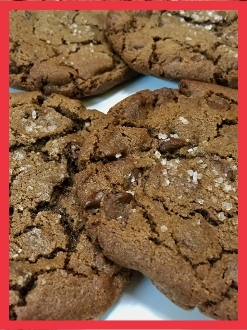 A chocolate cookie with Ghirardelli chocolate chips and a dash of Fleur De Sel - Sea Salt in case you don't happen to speak french. Sweet and Salty. Absolutely delicious and our new favorite treat.